About the fascinating and mystical artistic practice of Frida Kahlo much has been written, and the contribution she made to the modern art movement indeed was of the most importance. Nevertheless, besides her paintings, it is her life that has captivated the attention of the researchers. This extraordinary figure was an eccentric, a communist and a disabled person, so it is not strange that various aspects of her vast production were an effect of the constant and often life-changing experiences and situations to which she was exposed to. One of the important aspects of her daily routine was the beautifying process. The artist devotedly and meticulously chose her clothes, accessories, make-up, and hair. The impression is that Kahlo adored to costume up, but this assumption is a bit vague. It is more precise to state that by fashioning herself, she extended her creative process from the canvas onto her own body. Such a performative gesture was an actual manifestation of the constant hunger for new challenges and explorations. 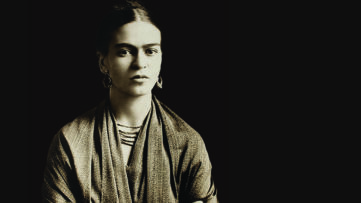 In regards to her fashion passion, The Victoria and Albert Museum in London is about to open the exhibition titled Frida Kahlo: Making Her Self. Personal items like cosmetics, gowns, jewelry and other personal items were found in 2004 after being sealed in the Blue House, where the artist lived with her husband, Diego Rivera. These objects, which reflect her occupation with style, will be followed by the photographs of her, as well as films from the 1920s and 1930s. Frida Kahlo did not only indulge her creativity, rather she was very active in many other fields. Due to friendships she had with various prominent figures and intellectuals of her time, most notably with the revolutionary Leon Trotsky, the artist was embracing a complex worldview, and was able to constantly question her own world and herself – especially during the 1920s and 1930s, the time in which the state of Mexico flourished just after the revolution. In such a climate, she was able to explore her gender, sexuality and even national identity, which is apparent in her interest for the cultural heritage of the indigenous people of the country. 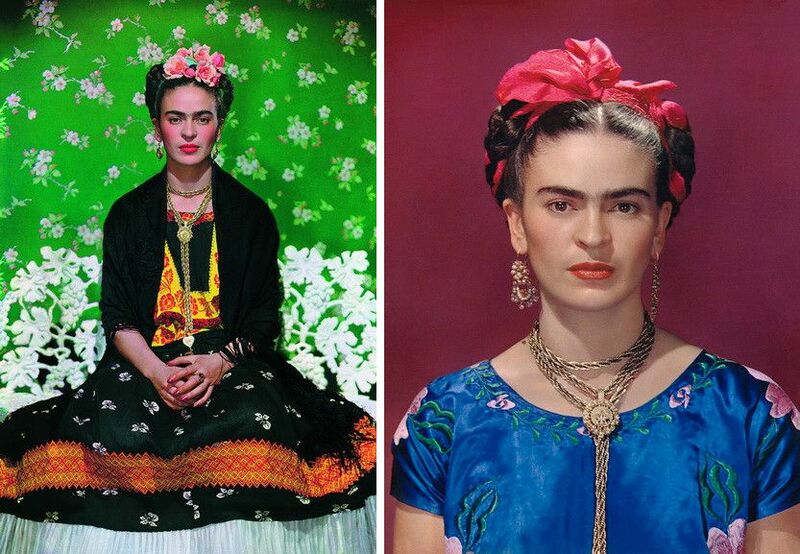 In that sense, Kahlo’s decision to dress up was not just a mere self-expression, but also a political statement embedded in her mixed-race or mestizo identity. On the other hand, as it was mentioned, the artist was a disabled person, who had suffered an almost fatal bus crash at the young age. 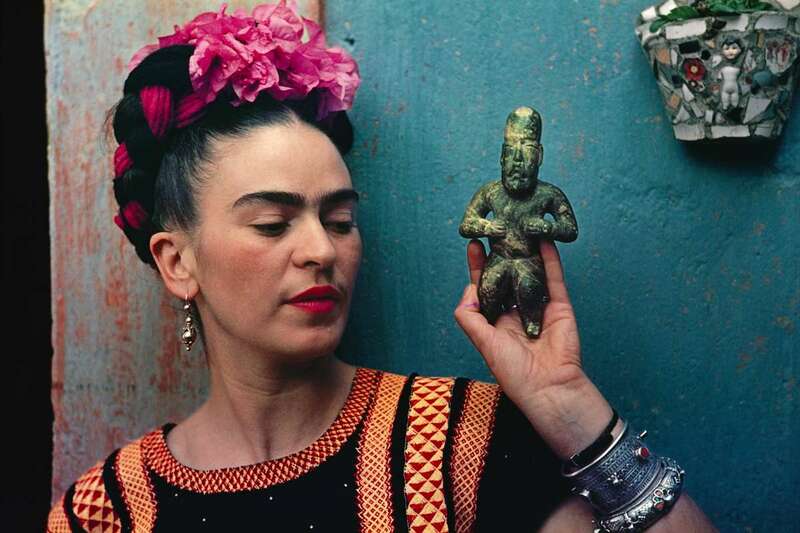 Since then, Kahlo was immobilized for a very long time, so the pursue to create had a therapeutic potential. That is the reason why she focused on the auto-portraits, and would paint by using a mirror placed onto her canopy bed. The artist painted the supportive bodices, spine back braces and corsets as a media on which she embellished communist and religious symbols, and produced tragic imagery devoted to her miscarriages. Left: Guatemalan cotton coat worn with Mazatec huipil and plain floor-length skirt. Museo Frida Kahlo © Diego Rivera and Frida Kahlo Archives, Banco de México, Fiduciary of the Trust of the Diego Riviera and Frida Kahlo Museums / Right: Cotton huipil with machine-embroidered chain stitch; printed cotton skirt with embroidery and holán. Ensemble from the Isthmus of Tehuantepec. Photograph Javier Hinojosa. © Diego Riviera and Frida Kahlo Archives, Banco de México, Fiduciary of the Trust of the Diego Riviera and Frida Kahlo Museums. The grand installment in London consists of a number of fashion objects obtained relatively recently. 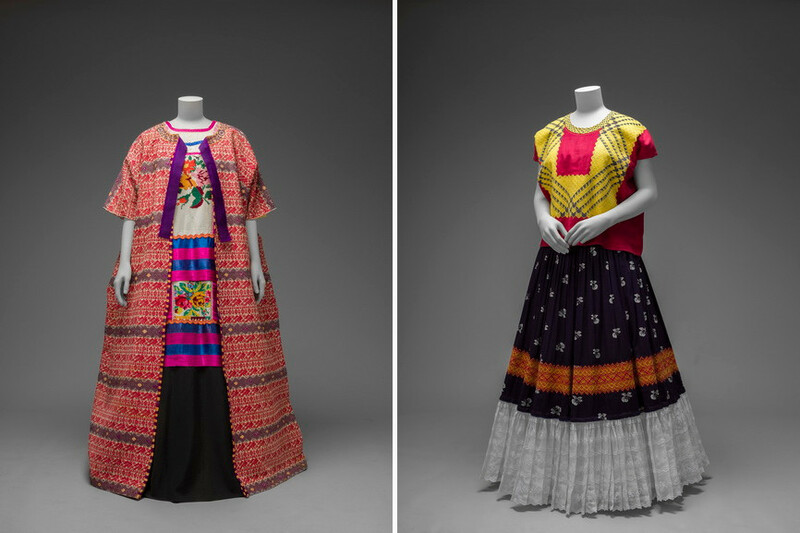 The collection of Kahlo’s peculiar garments which she collected passionately, from huipiles, an embroidered square-cut top, through long skirts with flounces, and rebozos, a traditional Mexican shawl, to pre-Columbian and modern silver jewelry will be displayed. A lace headdress, the inevitable accessory of her style, worn by women from the Isthmus in Tehuantepec region in Southern Mexico will also be exhibited. The audience will also have a chance to see certain objects from her makeup collection, such as her red nail varnish, eyebrow pencil ‘Ebony,’ which she used to emphasize her signature mono-brow, and her favorite lipstick, Revlon’s ‘Everything’s Rosy’. All of these elements were beautifully combined and the photographs of Tina Modotti, Edward Weston and Nickolas Muray perfectly show the lavish and extraordinary domains of Frida Kahlo fashion. 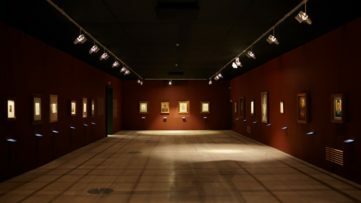 The collectors’ items of Kahlo and Rivera were the small votive paintings of folk art called the ex-votos, so those depictions of saints or divinities are also going to be shown. Finally, the aim of the show is to provoke a certain form of a reenactment of the Blue House, located in on the brinks of Mexico City. This place was like a temple to the artist since she spent all of her life there. 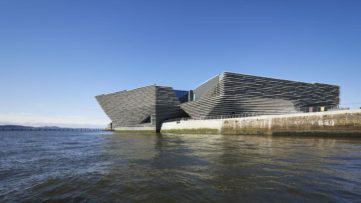 It will include even the photographs of her German father Guillermo Kahlo, early paintings and photographs of Kahlo and Rivera together and with their influential circle of friends. 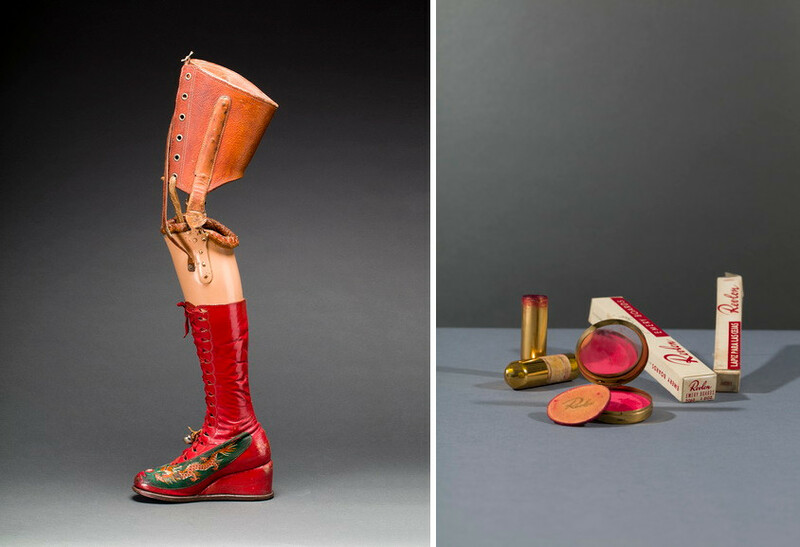 Left: Prosthetic leg with leather boot. Appliquéd silk with embroidered Chinese motifs. Photograph Javier Hinojosa. Museo Frida Kahlo. © Diego Riviera and Frida Kahlo Archives, Banco de México, Fiduciary of the Trust of the Diego Riviera and Frida Kahlo Museums / Right: Revlon compact and powderpuff with blusher in ‘Clear Red’ and Revlon lipstick in ‘Everything’s Rosy’; emery boards and eyebrow pencil in ‘Ebony’. Before 1954. Photograph Javier Hinojosa. © Diego Riviera and Frida Kahlo Archives, Banco de México, Fiduciary of the Trust of the Diego Riviera and Frida Kahlo Museums. The exhibition will be a very personal experience with deeply individualized objects on show, particularly her corsets, which she decorated and painted, making them appear as though she had explicitly chosen to wear them. She included them in her art and in the construction of her style as an essential wardrobe item, almost as a second skin. Frida Kahlo: Making Her Self Up is going to be on display at the Victoria and Albert Museum in London from 16 June until 4 November 2018. Featured image: Frida Kahlo with Olmec figurine, 1939, photograph by Nickolas Muray © Nickolas Muray Photo Archives. All images courtesy V&A.